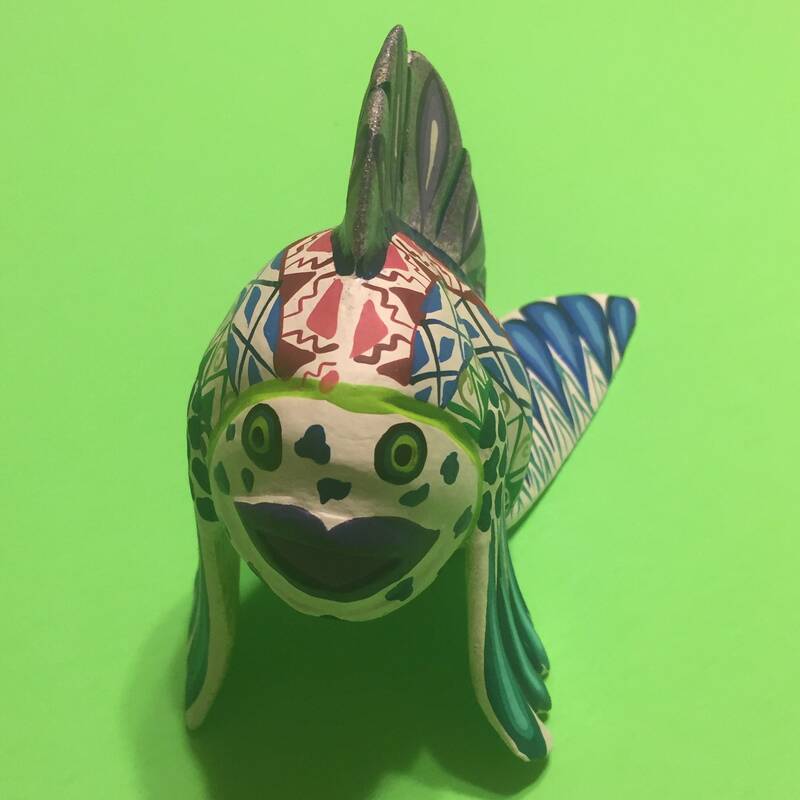 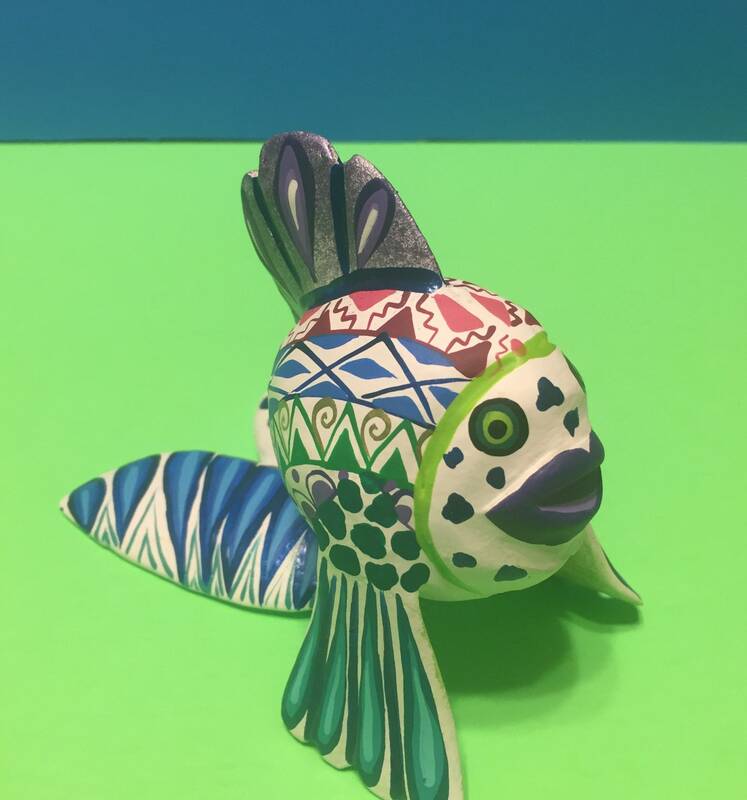 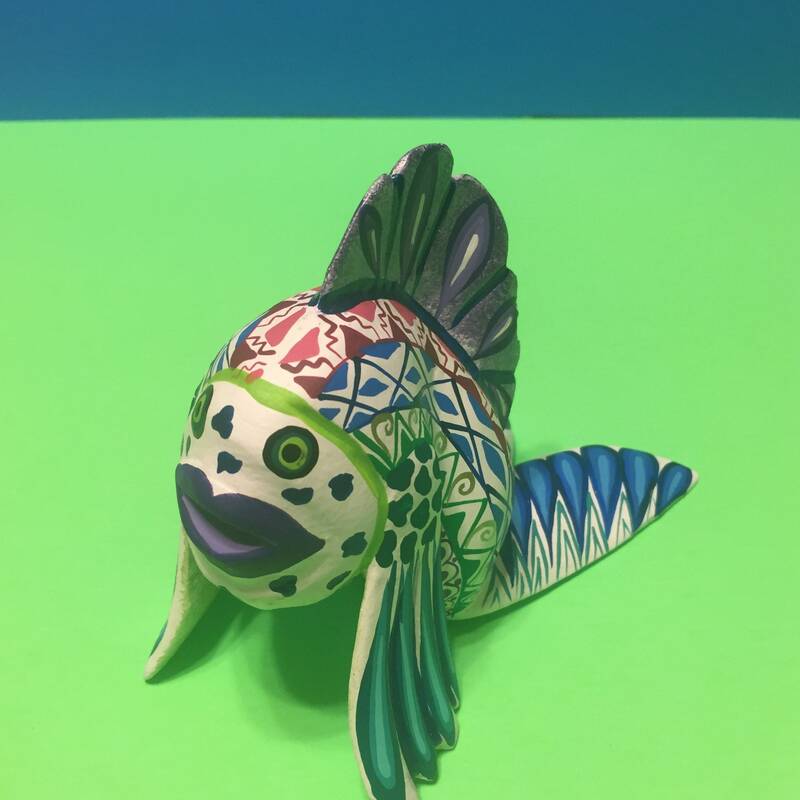 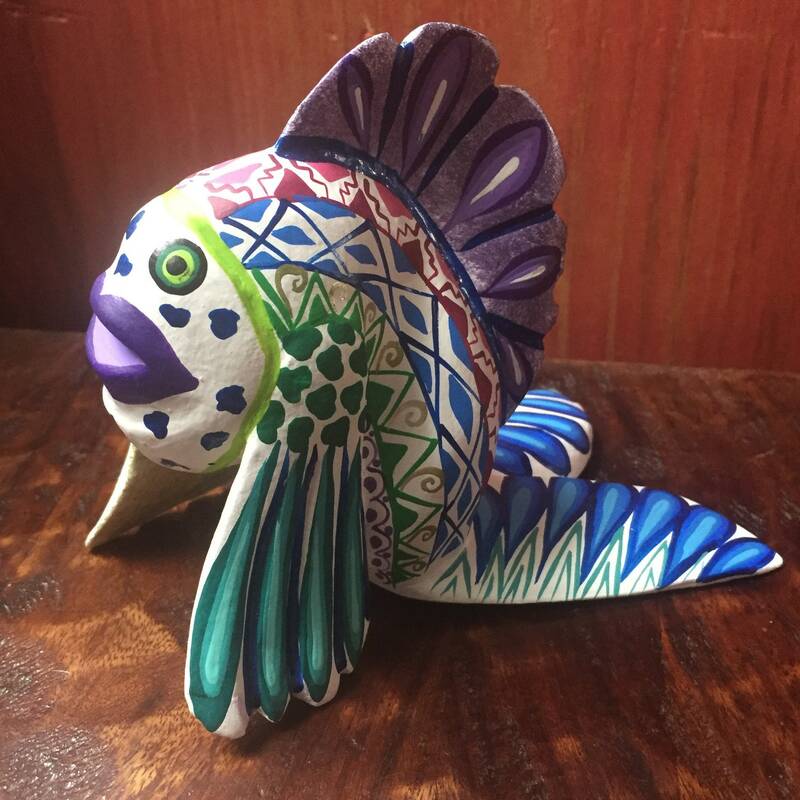 This colorful fish is approx. 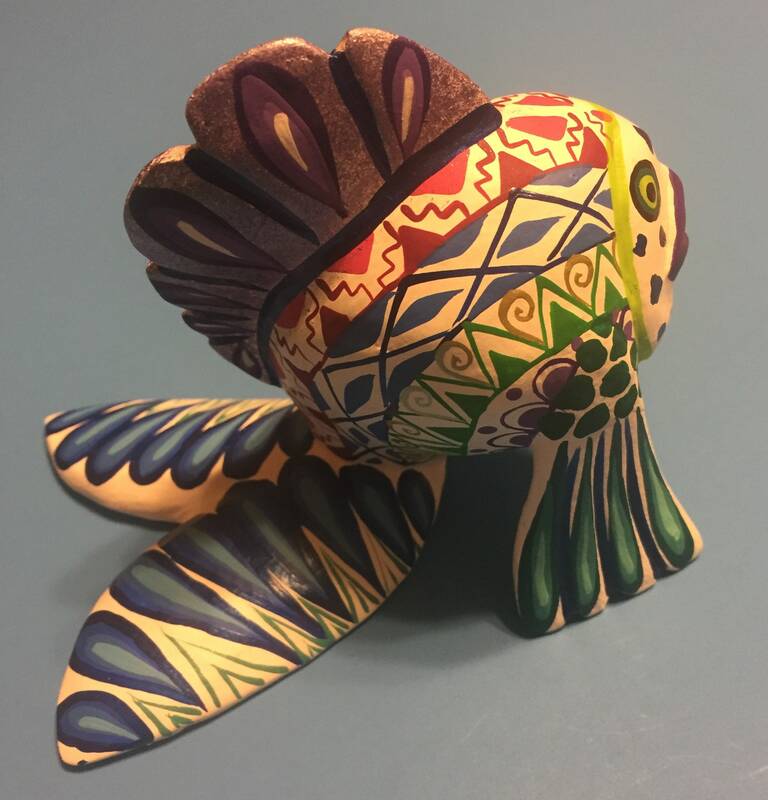 2.25" x 4.5" x 4.5” (w x h x d). 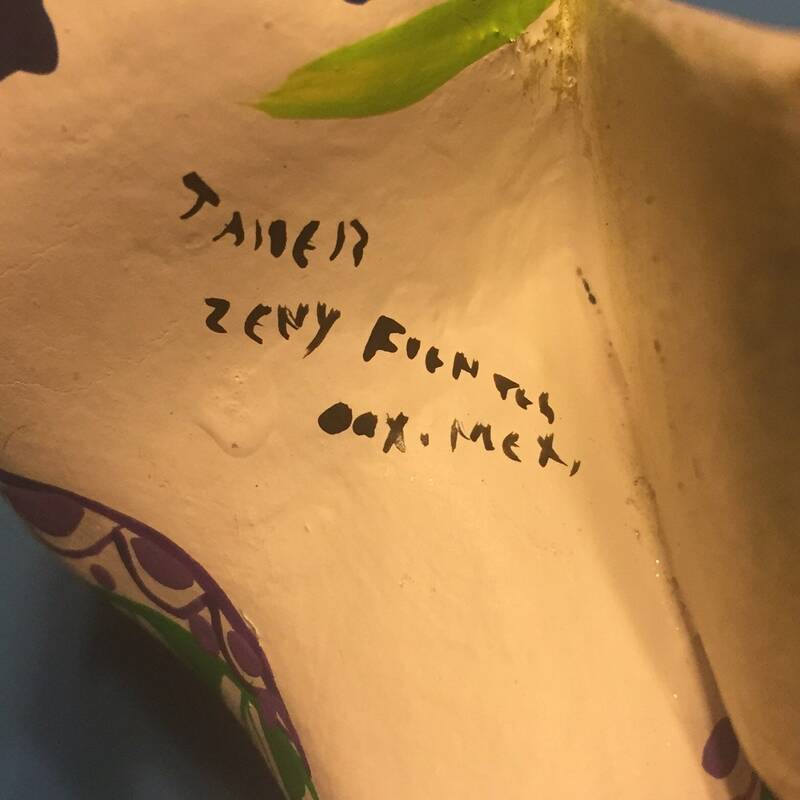 Signed by artists, Zeny and Reyna Fuentes. 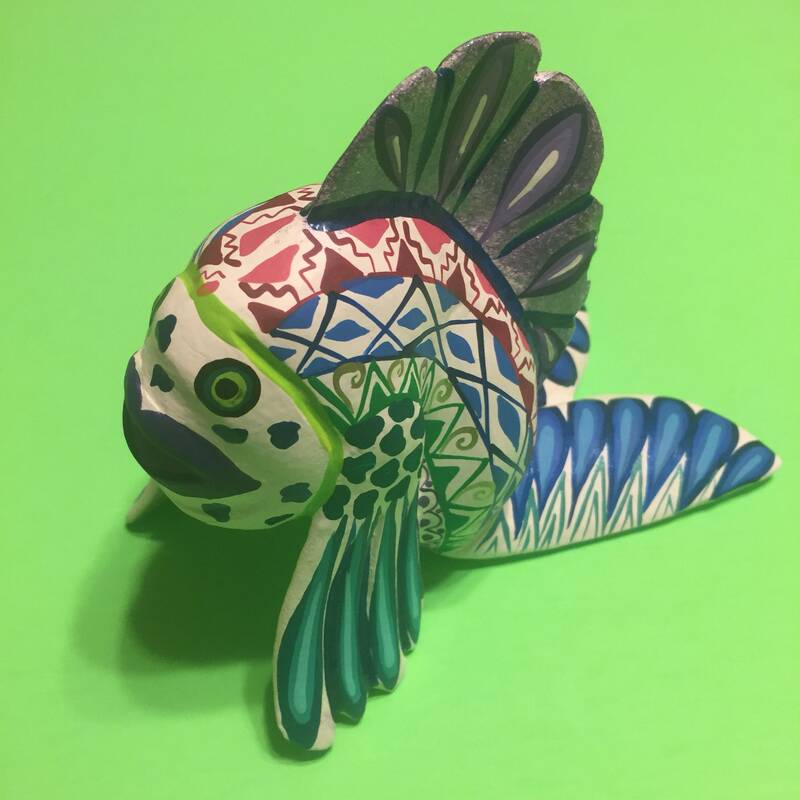 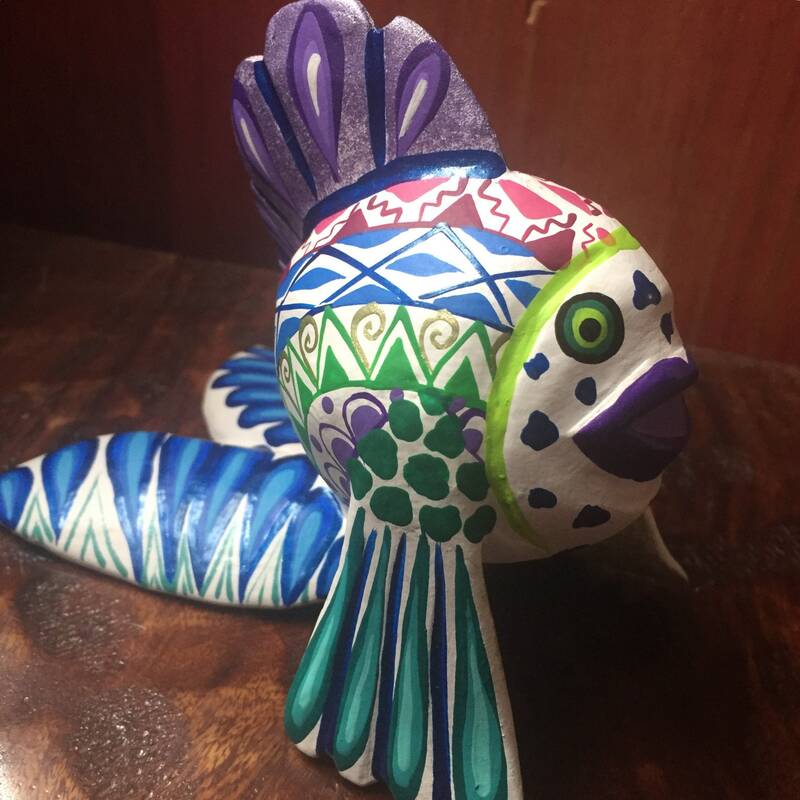 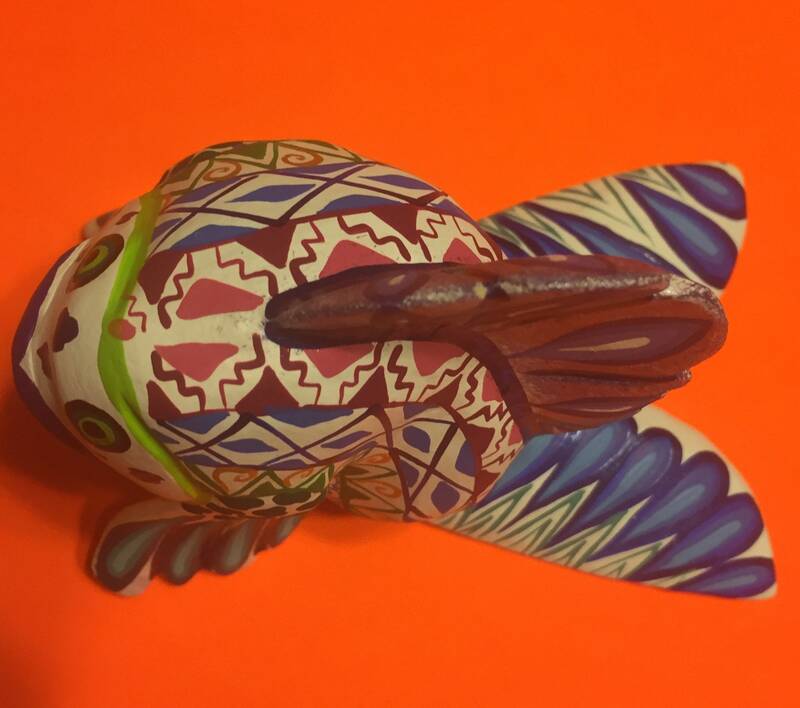 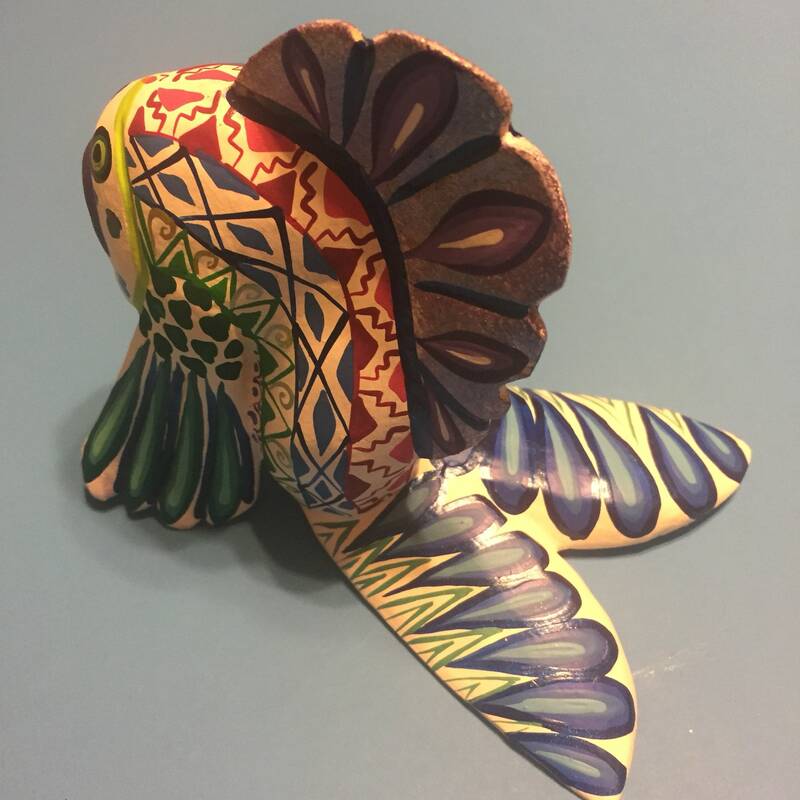 Handcrafted in Oaxaca, Mexico.